We have been blessed in our current garden with what we like to call a 'quarry' at the back of the lot. 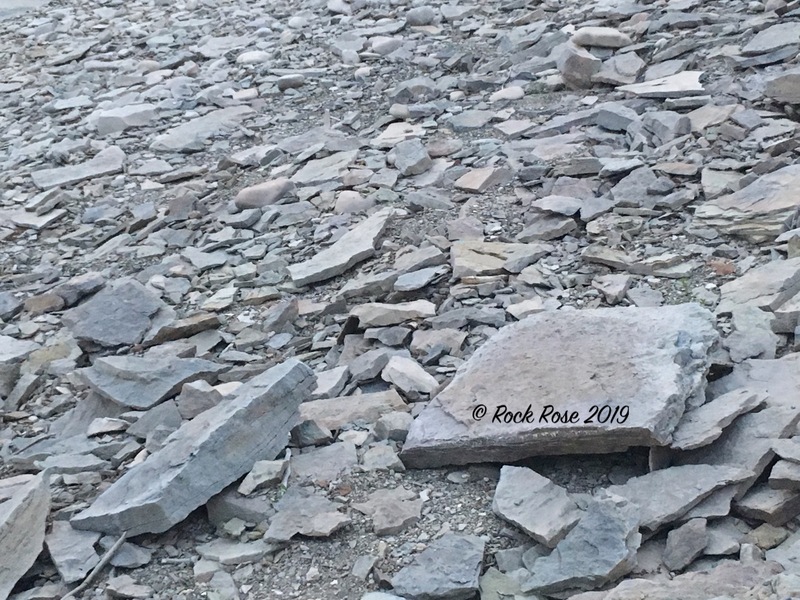 We had no idea when we bought the land that it would turn up such a wealth of rocks, and we do look at it that way. A wealth. It opened up a whole new style of gardening. 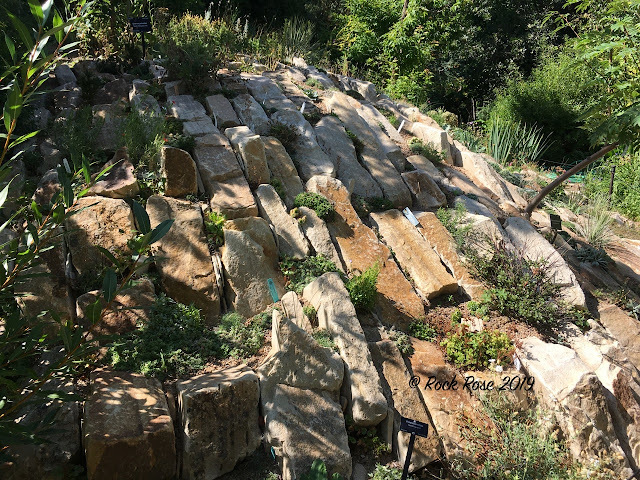 We have used those rocks for making raised beds, patios, pathways and retaining walls as well as rock gardens. I am forever finding a new part of the garden in need of more rocks. Inspired by travel in the Western States of Colorado and Idaho I am venturing on a new-to-me style of rock gardening called crevice gardening. Although when I delved into the subject I realized I had already embraced crevice gardening in a small way. Quite often when I find a good rock it will break during transportation. That is not always a bad thing as these limestone rocks are very heavy and I can only manage a certain weight. But all is not lost. I marry the two pieces together leaving a crack large enough in which to plant a succulent or small grass. 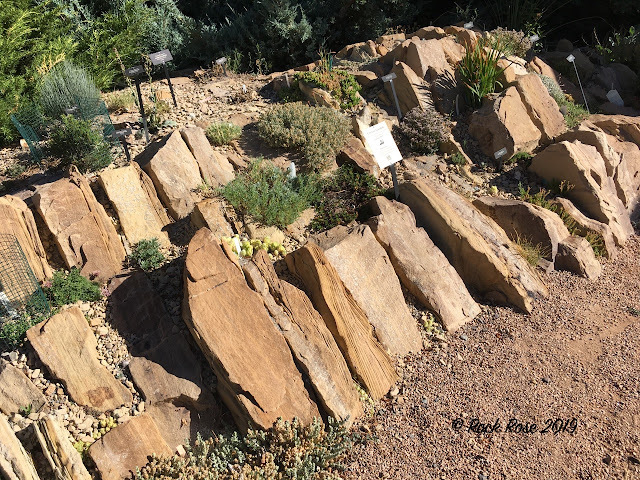 Then again my sunken garden where, loose-laid over decomposed granite, Arizona sandstone pavers provide yet another example of crevice gardening. Between each paver plants survive with only the water that comes from the sky, moisture being preserved under the pavers as well as providing a cool root-run for the plants. But I intend to spread my horizons having seen some very inspiring crevice gardens, created both by man and nature, during last summer's travels. 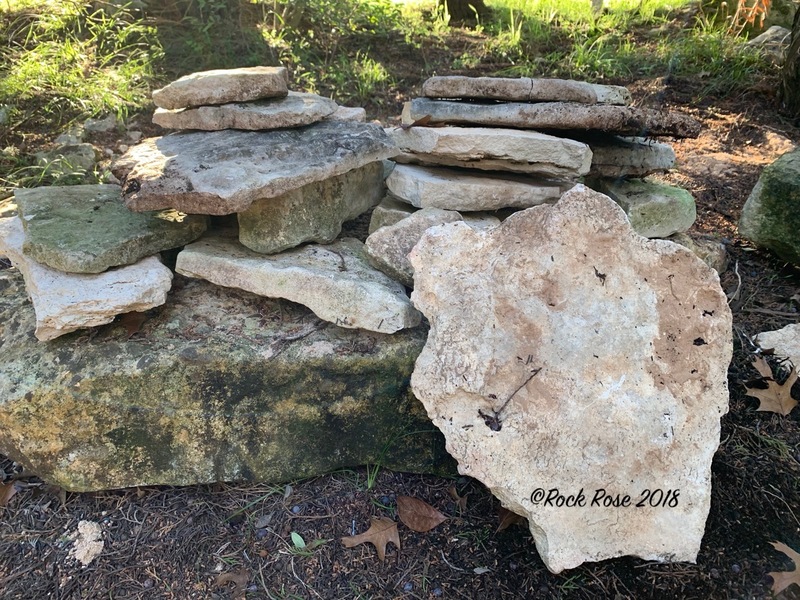 After all rock gardening tries to emulate nature. 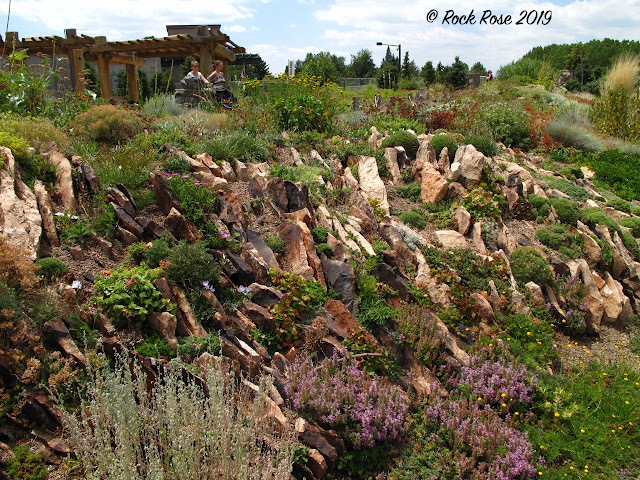 The first crevice garden we saw was in the Montrose Botanic Garden, Montrose, Colorado. 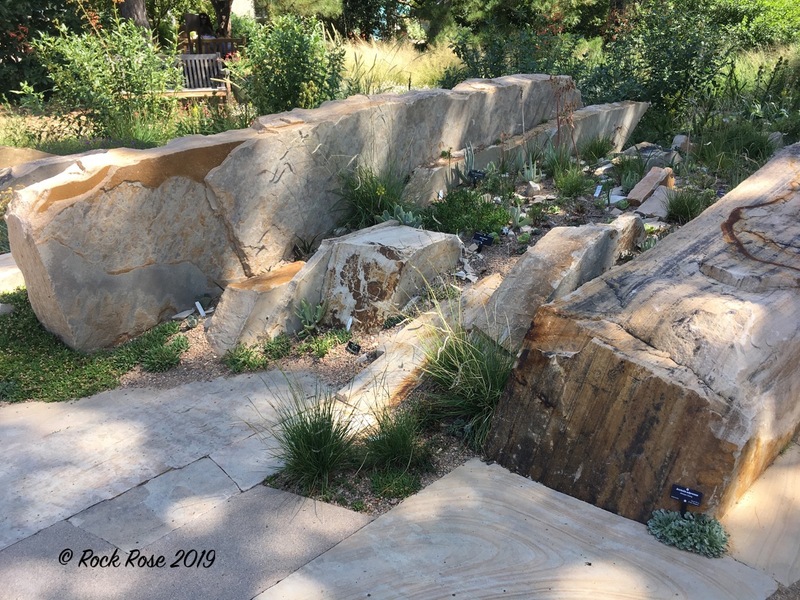 Their crevice garden was created by volunteers under the expert guidance of Mike Kintgen and Kenton Seth, both well known in the field of crevice gardening. Bur the most impressive crevice gardens are those at the Denver Botanical Gardens. While some are more true to what you might see in nature others are probably only suited to a large garden installation. I can't imagine the work that must have gone into cutting these stones to make the perfect curves. Walk around the other side and you will see this one incorporates a water feature too. But my favorite was in the Mordecai Childrens' Garden at the DBG. 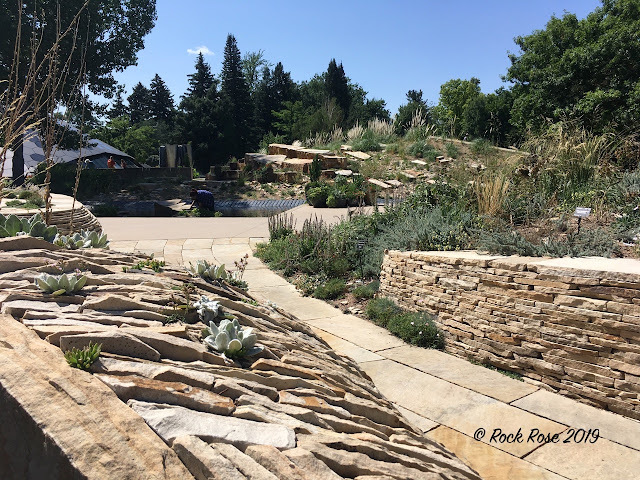 You don't need to drive far from Denver to find a wealth of rocks suitable for crevice gardening. 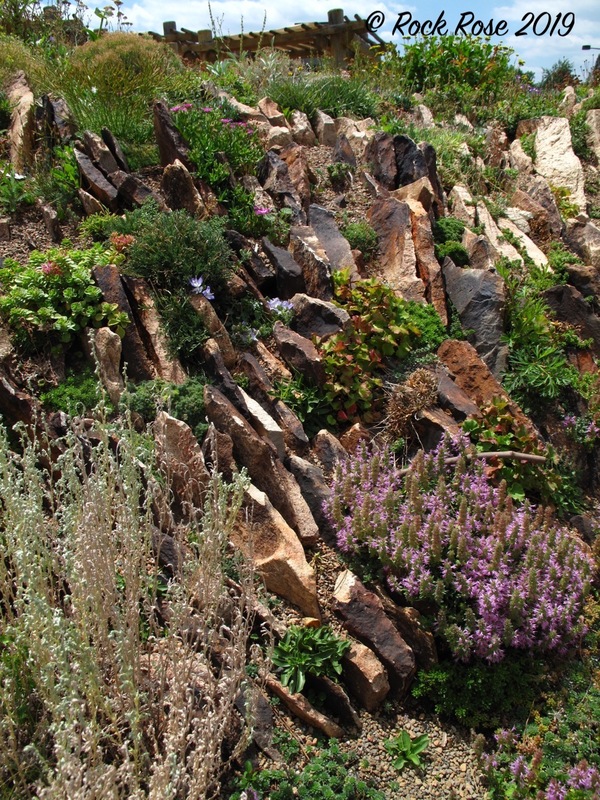 These slates and sandstones split easily along horizontal lines which make this kind of crevice gardening possible. That night we stayed on a campsite on a lake and I couldn't help wishing that we could take a few of these pieces home. However, one of the things I have learnt about rock gardening is that you must use materials that are compatible with the rocks you have and these just wouldn't look right in my garden. I must find a source closer to home and that means my own back garden. We now headed on further up to Idaho and our favorite place to camp and hike. Just outside of Ketchum in the Sawtooth Recreation area. We spent a week hiking in the mountains where, with my eyes tuned into crevice gardening, I was able to see plenty of nature's handiwork. 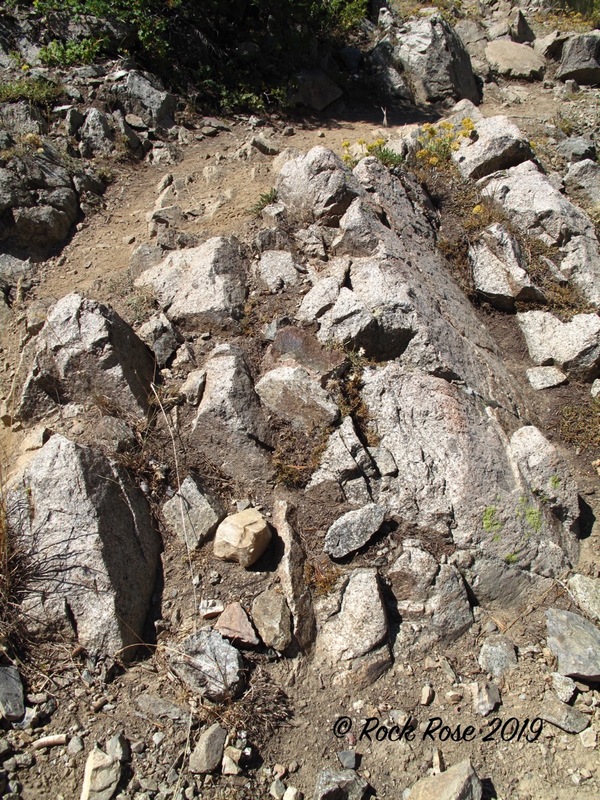 Naturally it takes time for soil to accumulate between the rocks, enough to support plant life. Once it does it isn't long before the flowers spread carpeting the ground. 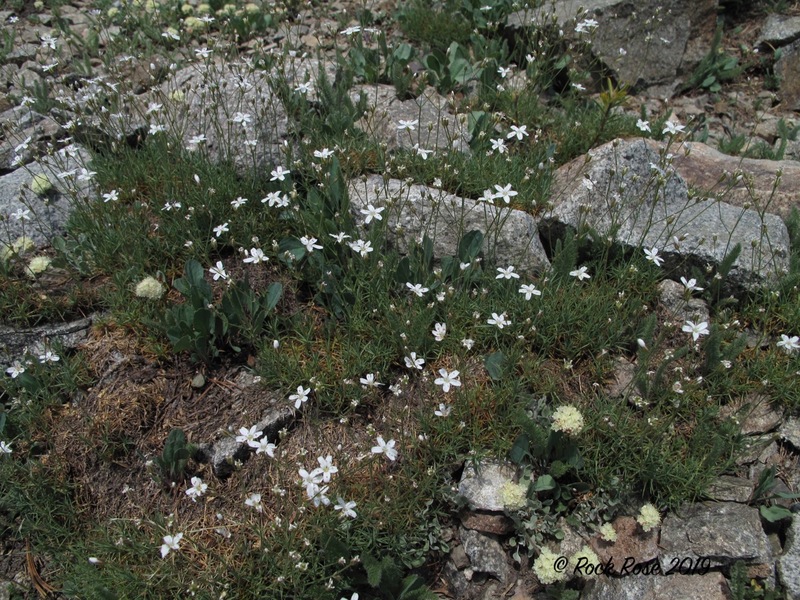 These plants are growing at 7-8 thousand feet so are considered to be alpine or sub-alpine plants which is one of the reasons people started emulating nature. 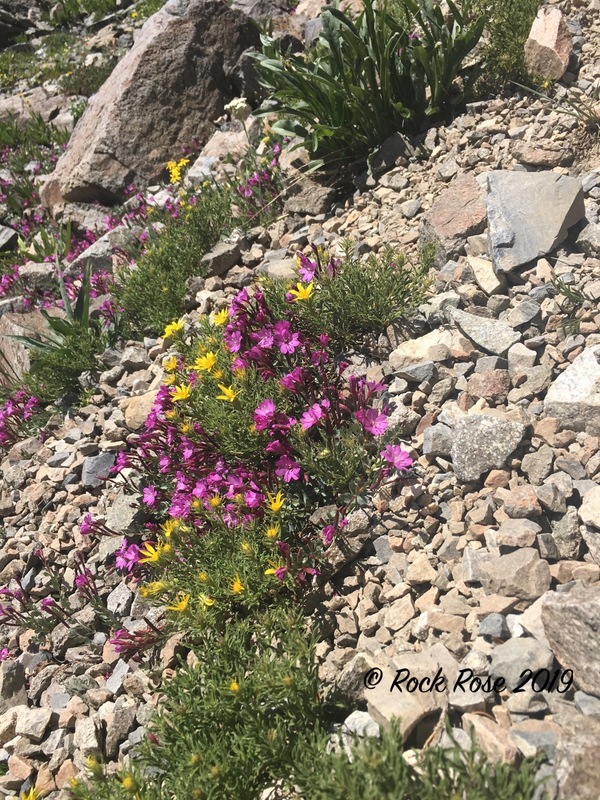 So they could collect and grow these alpine plants. Definitely not suitable for a garden in Austin. Since arriving home from that vacation there has been too much to do to start on the project I have in mind but I have begun collecting suitable rocks. It isn't so easy to find them as we used so many of them making the patio, but they are there and once the pile is big enough work will begin. Winter days are a good time to be searching. There are simpler ways to make crevice gardens. They can be made in troughs or pots. 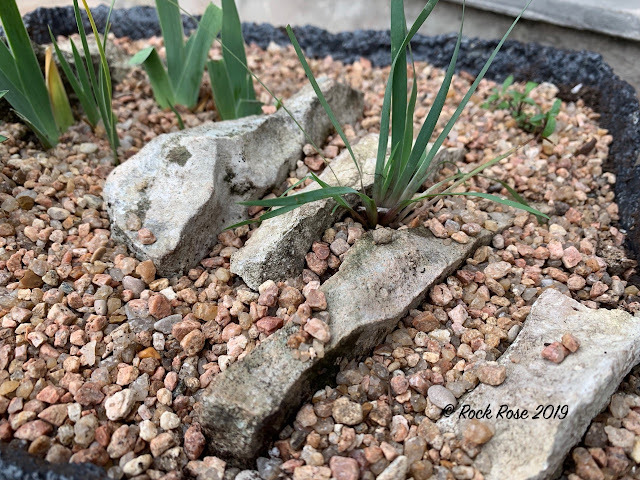 Just a few stones tucked into the gravel of this trough and planted with a native blue-eyed grass and a dwarf iris, some seedlings of alyssum. 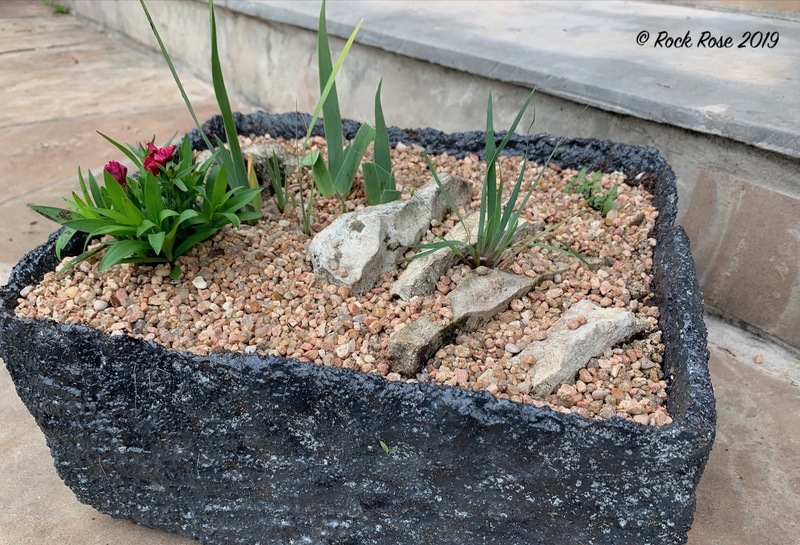 Succulents in trough made from polystyrene box. These gardens and rock formations are amazing and I love what you have done with your own property. I have always believed that hardscape adds so much dimension to the garden and these view prove it! I agree. Hardscape is so important. 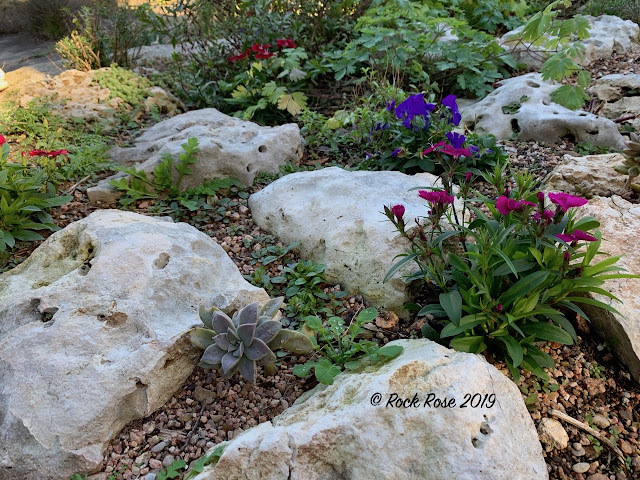 I have many areas of my garden where there is little or no planting but lots pf rocks and gravel. 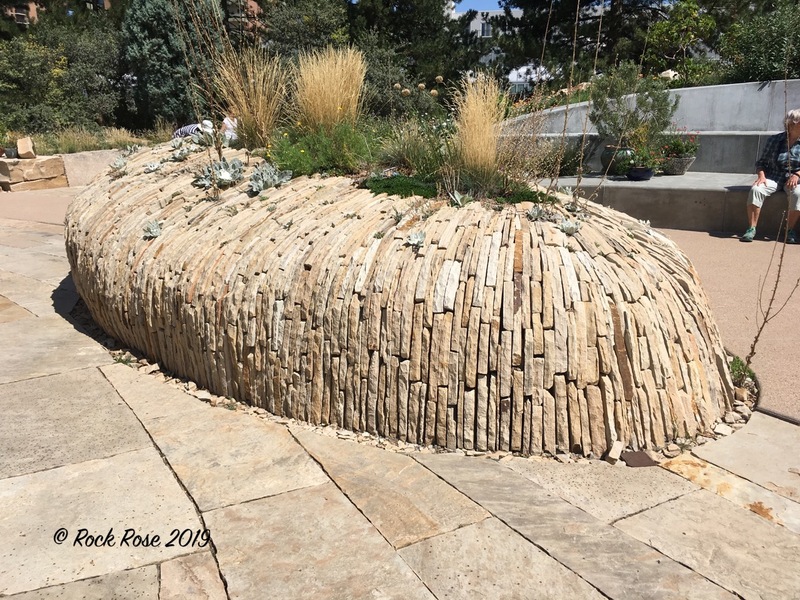 I am so excited to see this gardening style during the Denver Fling. I like how you translated the alpine plants to plants that are appropriate for your gardening zone. You are so blessed to have a mini quarry on your property. I love hardscaping and we've paid lots of money over the years for rocks. You will love the rock gardening in that part of the world. It id a fest fro the rock gardener's eyes. 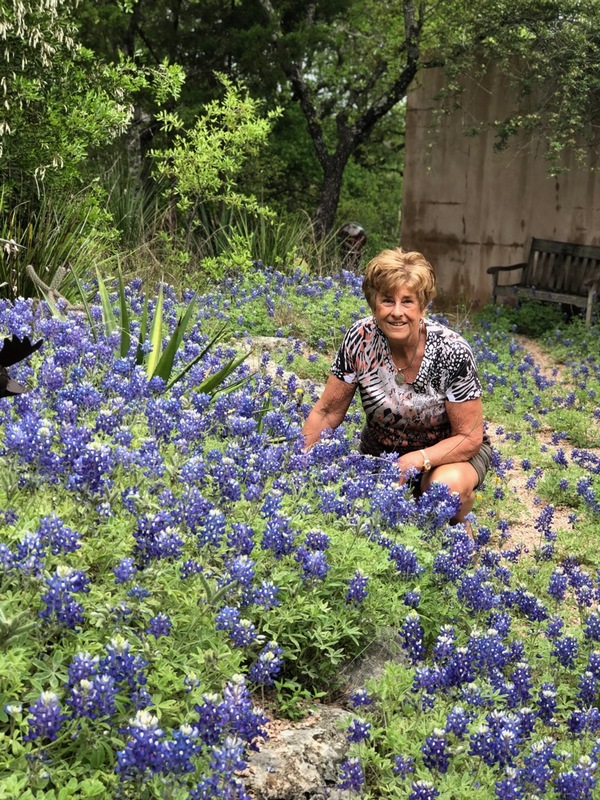 Translating from alpine to Texas is not easy but cactus are also suitable for rock gardening and I intend to try and concentrate on these kinds of pantings. This post is so timely for me! 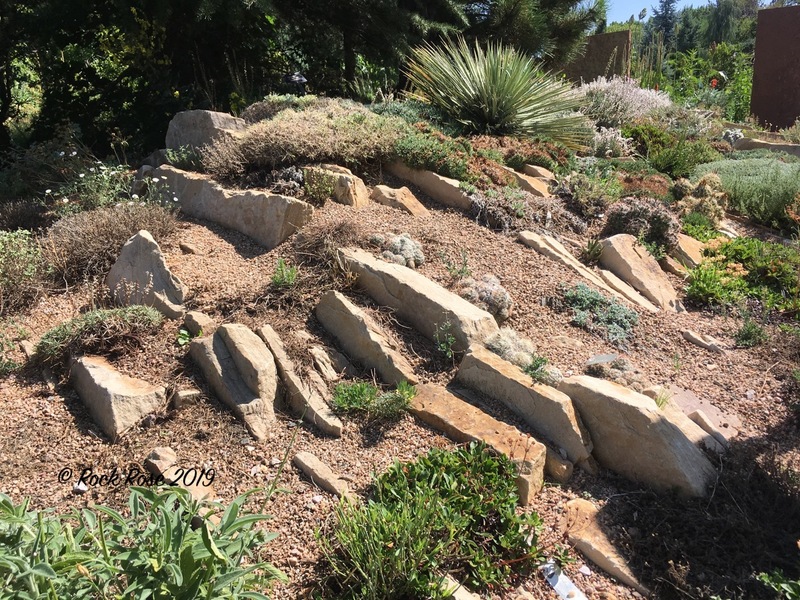 Right now, I am also in the process of collecting suitable stones to create my Spanish Mediterranean version of your sunken garden. I will be borrowing from nature, but I also have some split paving stones left over from our patio that will be put to good use, too. I'll be following the posts about your latest project for inspiration! I'm jealous of all your beautiful rocks. Thanks for sharing the DBG's use of stone--very impressive! When the builder was prepping the lots for our street, he took away truckload after truckload of brown granite boulders. I wish he'd have studded my front slope with them! You should have asked them to drop a few outside your garden. I remember them putting in a pool near us and we went over and asked if we could take some of the rocks they had unearthed. Some people go to the cemetery where there is often a pile of rocks they have dug out. I envy you all that stone in your own backyard, Jenny! I look forward to seeing your project come to fruition. I'm sad that I'm not going to make it to the Denver Fling and will miss the opportunity to tour the DBG. I tried to create a rudimentary crevice garden of my own using smaller pieces of local rock years ago but was never satisfied with it. I'd like to try it again but I need to bring in more rock to make a go of it here, which is funny as my neighborhood was a local rock quarry into the 1940s. I think it is a worthy project for any gardener. I hope to see you have been inspired by this post. I won't be in Denver either although I would gladly have gone back as I love this part of the country and especially the DBG. Amazing! I'm looking forward to seeing the Denver crevice gardens during the Fling this next summer! It does seem like parts of your amazing garden fit this description, too. You've inspired me to try my hand at a potted crevice garden. 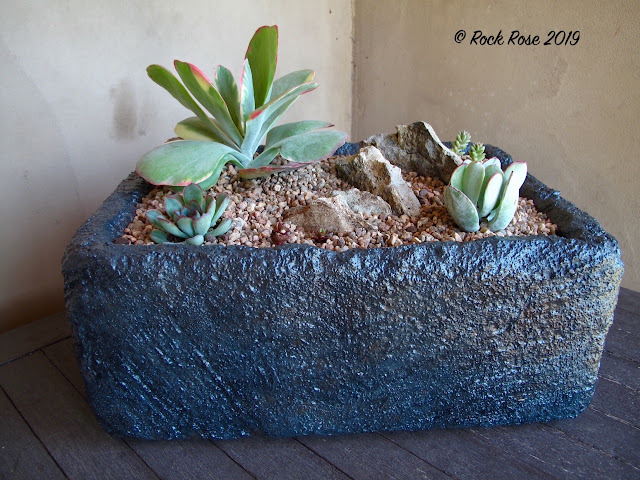 I have several pots with succulents that could work well as partial mini-crevice gardens. Fun stuff. 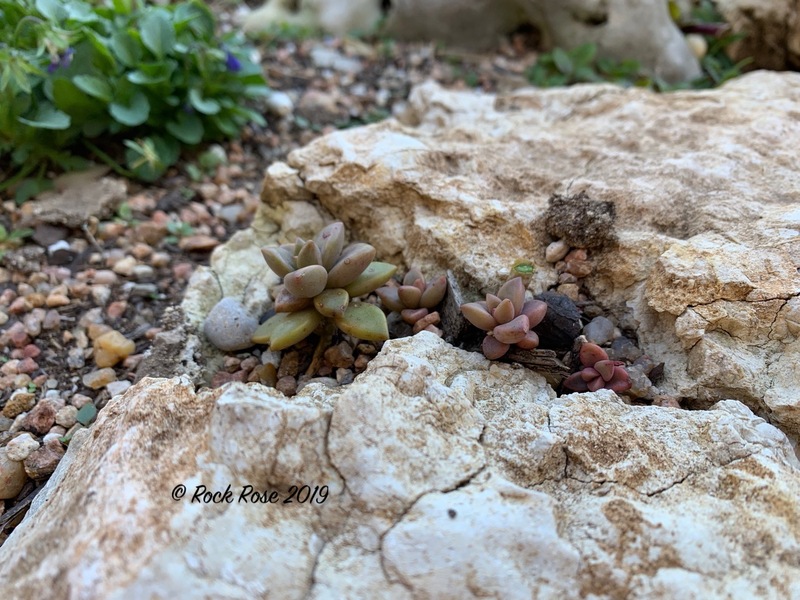 I potted crevice garden is a fun and quick thing to do and you don't need much in the way of rocks. Google has lots of great ideas. 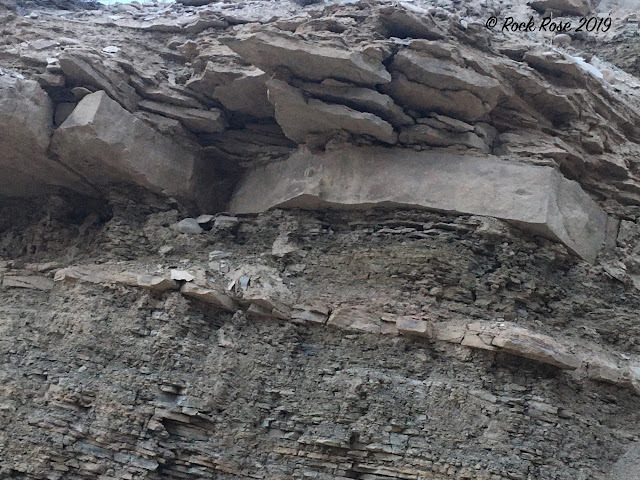 One I saw was lost all rock with just a few cactus in the cracks. I think I will try that kind too. I’m so excited to see what you create, you’ve certainly got a great start with all those inspiration photos and that pile of suitable rocks. One thing I fear though, since you were just in Denver you’re probably not planning on attending the Fling are you? No. Sadly I will not be at the Fling this year and will miss being with such a great group of gardeners. We are leaving for England at the beginning of June to spend time with the Taiwan family in the place we both grew up. Very nice, Jenny. I like your containers and look forward to seeing bigger crevice gardens in your garden in years to come. I plan to make a small area dedicated to troughs, rather like I have seen in England. I think you saw some at Kew. Jenny - what a great post with so much detail and inspiration. 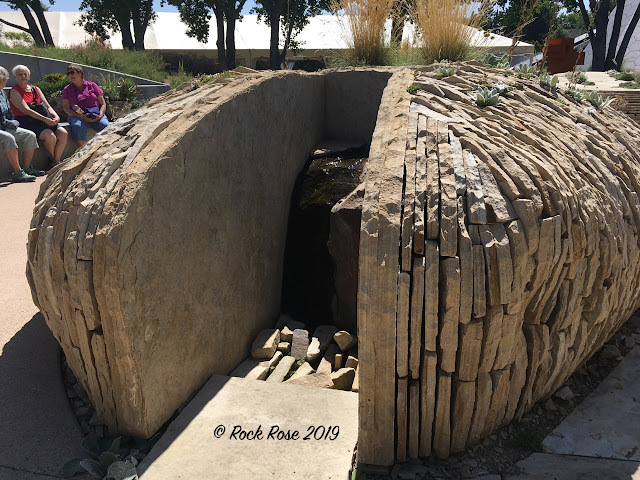 Of course, I now want more rocks in my garden. I have a wealth of that rock on our property, too, but haven't done gardening with them. Now isn't the time to do that, but maybe I should take some on the moving truck whenever we move! You may find you have that same wealth at the house you move to. It is hard to get away from them in this area. They re always lurking just beneath the surface. 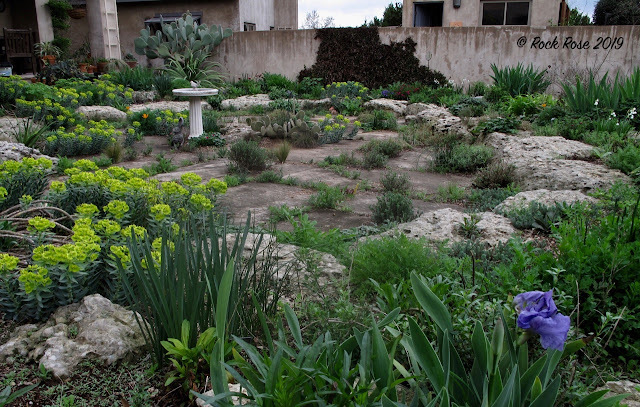 Those gardens are all amazing looking and such great inspiration. And it's always best to have the materials ready to go before you start construction, so this looks like a good winter project for you. Can't wait to watch it develop.